On 28th (Sat), explore the wealth of natural beauty at Dajti Ekspres “Cable Car”, get reinvigorated at Free Flow Yoga, then gain interesting insight with Tirana Free Tour, and finally don't miss a visit to Skanderbeg Square. 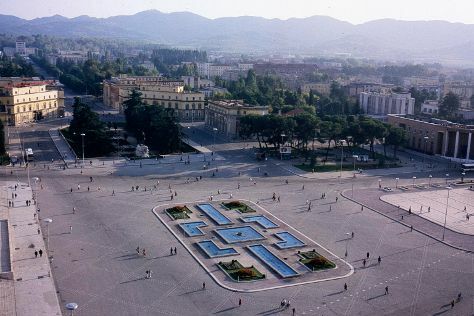 To see photos, other places to visit and other tourist information, go to Tirana travel guide. Use the Route module to find suitable travel options from your home destination to Tirana. May in Tirana sees daily highs of 28°C and lows of 14°C at night. Finish up your sightseeing early on the 28th (Sat) so you can travel back home.